This past Monday, I sent Lending Club a final check for $1, 582.05 â€“ thus settling our Lending Club loan and reducing our creditors to four. The debts we owe are now limited to two student loans and two mortgages. Today, I’m asking for your advice as to which we should repay next. Remember the Jeep that I totaled and had in the shop for 8 months last year? Well, I didn’t technically own it until three days ago. Last August, I consolidated the amounts owed on my Jeep and the debt still owed on the credit cards that I shredded with a Lending Club loan of $11, 000. It took less than seven months to settle those debts once we got focused. Unless something unexpected happens, we should have at least $1, 500 in extra cash to put toward our debts each month. This is above and beyond our regularly scheduled payments, so we should really be able to accelerate our debt reduction. 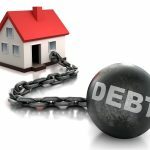 I was planning to shift our debt snowball to our secpnd mortgage until it dawned on me… What if the housing market rebounds? The housing market might rebound. We plan to sell our home as soon as we can get what we owe on it. If we focus on the student loan and the market rebounds, then I can repay my mortgages with the proceeds from the house sale, and my student loan will have been greatly reduced. The mortgage interest deduction. If I repay my student loan first, I’ll still have a much larger interest deduction to claim come tax time 2010 and 2011. Student loan debt is not dischargeable. Not that I would ever file bankruptcy, but the simple fact that student loan debt is not dischargeable in bankruptcy makes me question if it would be wise to make this a priority over a second mortgage. The psychological factor. I’m the type of person who would rather focus on paying off a higher interest loan to realize the savings (i.e., our second mortgage), rather than paying off a smaller loan for a psychological boost. I’m already leaning toward paying off our second mortgage first, chiefly because the rate is 2.8% higher than my student loan rate, and 4.8% higher than my wife’s. So… If you think it’s better to pay off my student loan off first, you’ll need to convince me. Higher interest rate. As I mentioned above, our second mortgage interest rate is considerably higher than the rate on my student loan, so I stand to save more on interest paid by attacking this debt first. The housing market probably won’t rebound quickly. I’m not a real estate agent or an economist, but I believe that both would agree that the housing market will not rebound to 2007 values anytime soon. We want to sell ASAP. To be honest, I would like to sell my home tomorrow… And I certainly do not want to wait 5 – 10 years or possibly longer for the market to get our heads above water. By paying down this debt, we’ll be able to sell sooner. Lastly, I wanted to throw out some more numbers to help you understand the decision we’re facing. It’s important to keep in mind that I live in Michigan, and that our housing market is worse than most. My home was originally appraised at $170, 000 in April of 2007, and our purchase price was $165, 000. When we refinanced our first mortgage last week, the lender estimated the current value of the home at $120, 000 though I’ve seen online estimates as low as $107, 000. Which should we pay off first? If you were in my shoes, would you focus your debt sledgehammer on the second mortgage, thereby enabling us to sell our home and downsize ASAP? Or are we better off knocking attacking our student loan debt? Whichever you think is better, I’m very interested in hearing your reasoning. How about this, Matt. Make only the required payments on the house and put all extra monies into your slush fund. When that gets high enough, buy that nice little plot of land you’ve been thinking about. And put a trailer or yurt, or something really unorthodox like a self-made cob house on it for about 10k-20k max. Live in the yurt/trailer/cob house and rent out the existing single family house for enough to cover the mortgage (or slightly less, if you have enough of an income stream to support the house for a while with some of your other income) and wait out the housing market. Make sure to put some money in a sinking fund to cover the house payments in the event of nonpayment of rent or major house repair. 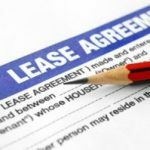 If that goes smoothly enough, keep renting out the house. If you have an excessive vacancy rate then this may not work. I’m not sure how renting single family homes is in your area–if there’s a market for them. If the reason you want to move out of the house is that you want something smaller or less expensive then I think you have limited options. The easiest is to get a housemate or remodel the house (if zoning allows) to make a small studio apartment somewhere in it and rent it out. Secondly, look at unusual strategies. Can you get a loan from LendingClub for the 50,000 so you can sell your house at market? You will pay a higher interest rate than your mortgage but if you can find a much less expensive place to live (Say, buy a trailer and put it in a trailer park, or even better buy a small plot of land with cash and put a trailer on it for now) you might not come out ahead at all. Home values are not popping up anytime soon so if you are negative 50K on the mortgage you need a way to pay that off before you can unload. A housemate would help. Without knowing the reason Matt wants to sell his house and move, it’s impossible to give good advice, because money decisions always need to be made in the context of more important life goals. Maybe he’s posted his reasons elsewhere and I haven’t read them yet. First of all, congratulations on paying off the Lending Club loan. I’m with the majority of other posters and think the high interest mortgage is the next one to apply the debt snowball. We have decided to pay extra principal payments on our two highest rate loans and save all excess in a Debt Repayment Fund for future lump sum debt payments. We are doing this as a hedge against unemployment and a devastated Michigan housing market. See details of our plan in today’s DFA post. @Rosa: no worries, I knew you meant well. @Aaron, BG, Bryan: As I mentioned in my last comment, we are leaning heavily toward saving the money. We are very disciplined so piddling away the money is a non-issue. I LOVE the idea of controlling the excess money and watching markets while paying regular payments. @ #39 Aaron – BG is right. Matt can cover the loan in the same amount of time either way. But if he gives the 1500 to the bank each month, he loses control of and access to that money as soon as he deposits it. Whether it’s used to pay down principal monthly or hoarded in a safe place each month, it will ultimately be applied to paying down principal to supplement sale proceeds, either monthly or in a lump sum cash payment. Like I said earlier, the “liquid account” approach is the only one with a guarantee that he will be in a position in two years to pay off one of his loans with the ability to choose whether or not the time is right and which loan makes the most sense to pay off at that time. Bottom Line… either a student loan or the 2nd mortgage can be paid off in two years with this strategy. And Matt does not have to absolutely decide which one right now. Until then… liquidity and cash flow will be in his control. @DB, Matt – I’m not dissing Michigan. I’ve got friends up there who love it. But they’re all worried about their jobs. The auto industry going down the tubes has big ripples – in housing, in service-sector jobs, in the state government’s hiring/layoff situation – and I don’t think they’re played out yet. Nobody knows for sure what’s going to happen. I would probably advise anybody to fund the emergency fund first. But I grew up in a little post-industrial corner of Iowa that started failing right about the time I was born because the meatpacking plants packed up and moved West. My hometown has half the population it had in 1980, and that was down already from its heyday – between the industrial meltdown and the farm crisis, the county was littered with abandoned, falling-down houses that weren’t even worth selling, and empty industrial properties full of machinery nobody had even bothered to scrap. So I know very well not every local housing market perks back up when the national economy does. #39 Aaron) But…putting the money on the second mortgage is locking it up permanently: he can’t get the money out if needed because he is underwater (no more HELOCs). If Matt held the cash, he can always bring it to the settlement table when the house is sold. This is why I think it is extremely risky to lock the money up in the house, just to save $500 in interest over the next year. If he were not underwater and had > 20% equity, then it would be OK to pay extra on the 2nd mortgage, because he can get it back out if need be (as long as you have a job). I was thinking along the same lines as Bryan at first, Matt. Keep the liquidity to see what happens and then apply as desired. Given the short time frame this could take, net interest lost isn’t a huge cost to me for the flexibility. 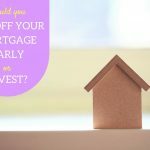 But the more I thought about it, if you are looking to sell the house to cover your loan just to get out rather than trying to maximize the value of the house, paying down the second mortgage means you could sell sooner too. If cash flow is more important to you then paying off the student loan will probably get you more bang for your buck. I don’t know your payment amount,but even at a lower interest rate I’d imagine its more than the second mortgage on a monthly basis. With uncertainty in the housing market, I would hesitate to pay off any mortgage because your value may still be coming down. Not to say that you’d walk away from it, but if something happens in your financial future that would require you to walk from that house at least you do so knowing you didn’t put more cash into it. If neither of the above topics are of concern to you, and all other things being equal, you can look at it from a pure investment standpoint. That would suggest paying off the highest interest rate debt first because that offers you the best return on your money. You save $765 interest payments by putting it all in the 2nd mortgage. Invest $1500/month at 2% interest rate, you make $196 interest in 1 year. It will cost you $570 in lost interest to wait 1 year and see where you are. I say hoard the cash or a part of it until you know more. Right now it looks like walking away from the house is a viable option, but in a year that could change. With mid-term elections coming up there may be some even sweeter deals coming up to get your head above water on the house. @Joe: Yes, I am contributing 4% to my 401(k) for the match, although I’m only 20% vested in the match (20% each subsequent year.) Her employer offers no match so we don’t contribute to her plan. @Nickel & Rosa… I discussed it with my wife tonight, saving the money each month sounds like the path we may take. If markets change or we lose jobs we have the money as a hedge. After a year we should have around $20k and can make the decision to pay it toward the 2nd mortgage at that point. Not set in stone yet, but this is the way we’re leaning. Not the best advice, but what if you gambled the $1,500 each month at a casino? Once a month go into the casino and bet $1,500 on red, if it hits you double your money, pay $1,500 on your mortgage, have a great steak dinner then put aside the rest of the cash for next month’s gambling trip. I’d adjust the rates based of tax deduction (and your bracket) then go highest rate first. Looks like the second mortgage still. I forget – You and the Mrs depositing to 401(k) at least to get the match? I’d say that comes first, then debt acceleration. Good rant, DB! I’m from Massachusetts, and I think it’s true that many of us think of Michigan as being nothing more than than a post-industrial wasteland. Clearly your state is a lot more than that. I guess we can thank the media for the poor PR job. Point well made! Geeze…to hear everybody talk about Michigan it sounds like we have Black Death running rampant! We have snow and ice in the winter (great for snowboarding, sledding, snowmobiling, ice fishing)…beautiful summers with the best freshwater (non-salty-itchy) beaches in the world (ever heard of Lake Huron? Lake Michigan? Lake Superior? yeah…unlimited outdoor recreational opportunities (camping, fishing, hunting, hiking, mountain biking, boating, canoeing, kayaking)…two incredible peninsulas with the Mighty Mackinaw Bridge connecting them…we DON’T have flooding, hurricanes, mud slides, earthquakes, volcanoes, avalanches, 120 degree summer temps, deadly spiders or snakes, large human-eating predators, tornado alley, annual forest fires, tsunamis, concerns over rising ocean depths…I love it here! OK…I’m done now. I was just feeling like we were taking a bit of a beat-down. I’m with Bryan, too. If I lived in Michigan & had debts like that, I’d be hoarding cash like crazy. Or if you can’t live with yourself with money int he bank and high interest payments, save to a conservative safety-net level and/or until the housing market calms down, and then decide. Matt: Great feedback here. If you’re intent on paying things down as you go, then I think it’s clear that the second mortgage is the most popular point. But Bryan makes a good point regarding saving vs. paying down early. Sure, you’ll face a marginal loss on the interest differential, but you gain a lot in flexibility. Lots to think about. Second mortgage. It’s higher interest, and even if the market rebounds and you have a profit in selling the house, that profit can go toward your student loans. I wouldn’t hedge against a market rebound, because you can always use those profits later. Good luck! @Aryn: You maid two excellent points! Matt: There are way too many factors here for you to be weighing interest paid vs. interest earned over two years. The interest saved, wont be saved until you pay something off. Even if you put the $1,500 in an envelope each month and earned “0” interest, in two years you can pay one of your loans off entirely and save a ton of future interest. Even then, the saved interest is not tangible, but the amount of the monthly payment you no longer have to make is very tangible, and immediately useable! 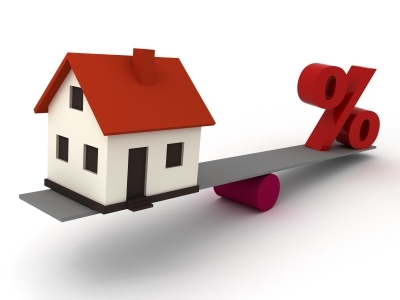 By the way, if you are in a 33% tax bracket, the effective interest rate on your second mortgage is only 5.89%. If you change your witholdings from your paycheck so you get that $$ each check instead of once a year, and add that to the $1,500 savings, you can have enough cash to pay off one of your loans in less than 18 months, or you can use that extra cashflow to accelerate principal reduction on the student loans while saving the $1,500 to accumulate enough to satisfy one of the loans within two years. With this type of strategy, there is a guarantee: you Will be in a position to pay off one of your loans within two years time. 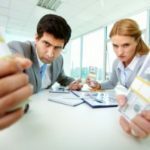 And since you’ve accumulated the cash to do that, whatever the circumstances are at that time, you will be positioned to make the best decision. Everything else is speculation… housing values, interest rates, the posibility of bankruptcy, foreclosure,earthquakes, loss of income, etc. Life happens…prepare for the worst and plan for the best!! Pay the second mortgage first. If one of you were to lose your jobs, the student loans can be put into deferral or forbearance. The mortgages cannot. Also, if you lost your home to foreclosure, the first mortgage would probably be eliminated, but you can be sued for the balance of the home equity loan. Matt) actually, I’m gonna change my stance and agree with #17 Bryan. You need to start hoarding the cash. Once you have saved up 6 months of living expenses, then you can revisit the subject. Assuming you already have a 6-month emergency fund, and you are confident you will never file for bankruptcy/foreclosure — then pay off the second mortgage (highest interest rate first). If there is even a tiny chance you may go into foreclosure, then pay off the student loans first: paying extra on the house would be a lost cause since those notes can be wiped out in foreclosure, whereas the student loans will always be there. It’s a tough decision, but holding cash is the most conservative thing you can do right now. Ok, imagine that you couldn’t pay either. If you can’t pay the mortgage you lose your home. If you can’t pay the student loan do they take your education back? The student loan has much more flexibility and less of a downside if you can;t pay it back. Pay off the high rate mortgage and then work on the first mortgage. If you make money on the house then use that towards your loans. Get rid of the second mortgage first. Its highest interest, still gains you equity (at least theoretically), and when paid off it’ll be a nice extra to add to the paying off the student loans (snowball). The tax advantage of keeping the 2nd mortgage should be small in comparison to all the rest. If you pay down your second mortgage and the housing market rebounds you will have more money left over from the proceeds of the sale that you can put towards your student loans, so I would think that the housing market would not be a factor. I’m on the “higher interest rates get paid first” wagon, so count me on board with second mortgage gets paid first. If the market bounces back and you make any profit, toss that at your student loan. @Evan brings up a good point. We max out the $2500 student loan tax deduction every year, and have claimed a mortgage interest deduction of around $11,000 for the last 2 years. @Bryan: saving and only paying regular payments is definitely an option, but I’m thinking that will end up costing much more in interest in the long run. Interest paid on loans will far exceed interest earned on liquid savings. I personally think the student loan (6%) should be next. It’s a riskier loan: can’t be discharged in bankruptcy easily, like a mortgage can. Tom Layne thinks well when he’s feeling foggy. Because you don’t know where the housing market is headed, paying down the mortgage is risky. My advise is to save the $1,500 each month, keeping it safe and earning compound interest. In 2 years you will have enough saved to entirely pay off the second mortgage OR one of the student loans.If,in two years time, the housing market stayed the same or improved, you can sell with little to no financial exposure. If the market worsened, you will have choices: 1. satisfy the second mortgage and use the second mortgage payment plus the $1,500 to accelerate principal reduction on your first mortgage or the student loans; 2. continue to save the $1,500 monthly (2 more years of that discipline will put you in a very comfortable position to make a sound decision); 3. Pay off a student loan then accelerate the other one; etc. The housing market has a direct impact on the choices you are considering and right now the housing market is too volatile. Give it time to settle and clarify it’s direction, when it does, you’ll be ready. Everyone is bringing up the $150,000 MAGI limit, but the amount deductible is limited also to $2500 I think for 2009. While that $2500 is above the line, it may be more beneficial to pay it off if you have a tremondous amount of interest associated with that second mortgage that may be deductible. I am just trying to compare apples to apples. Although I truly believe math may not matter if you have a certain feeling of hatred towards one of the debts vs. just doing the math. I’d go with the second mortgage…it’s the most expensive. Get it out of the way. I would personally pay high balance loan with high intrest first.. which is your 2nd mortgage. I’m sure you can already guess what I’m going to say?? THE SECOND MORTGAGE!! Not just for the interest but for the ability to pick up shop and get out of our lovely state if needed. Having the 2nd mortgage paid off it will be much easier to work out a sale than figuring out how to handle the second mortgage in the equation. The housing market in our areas are not going to come back any time soon. I’m guessing with the amount of the 2nd mortgage and student loan debt you have, the plan is to be debt free within the next 2-3 years. Even if the housing market stabilzes within that time frame the money will NOT be there in a sale. Oh yeah, if I ever hear you say the “B” word again, I’m going to drive over there to clock you on the head. I’m also curious how you were able to refinance without having the equity. Without reiterating the others, I also w/go with paying off the 2nd before the student loans, and I will add that it’s because you said you want to move in order to downsize. Even if the market does not improve before you pay off the 2nd and sell the house, you will benefit: Whether you buy or rent next, either way, the rates on your next home should be low. Downsizing will then free up more cash and enable you to pay off the remaining student loan debt even faster. If you weren’t planning to downsize, btw, I was going to go with paying the student loans off first. Most everyone is backing up our original thoughts… thank you very much for the awesome input. @Tom: you ask a great question, and we have also considered that – put it on the market now and sell it as is before prices drop further, and save in the interim. @Tony: you’re exactly correct. We refinanced our home loan using the HARP streamline component of the Making Home Affordable program. Maybe you can clarify you mortgage situation??? You state that the value is 107 (low end) to 120k from your current lender. How could you refinance if your home is worth 120k but you owe cumulative 157k??? You’re upside down! My only guess is a HARP streamline but just curious. Does paying down either the 1st or 2nd mortgage further expose the $ to a Michigan housing market which could conceivably sink more? For the first, I think the answer is yes – is it just as true for the second? Meaning might you put 50k into your house only to have it drop another 50k and wipe you out? Is it better to simply save the $ and sell the house where you feel youre at a point where whatever loss you take on selling your house (you seem keen to move) is reasonably offset by what youve saved? Feeling foggy this morning, so maybe an outlandish comment – but there it is! Definitely repay the second mortgage. If you will never declare bankruptcy, then Joyce exactly hit on the correct point – student loans die with you, mortgages do not. And if the housing market doesn’t rebound, or even drops further, then you will be in a better position to sell if you have a lower mortgage balance. I would pay off the second mortgage first. It makes the most sense mathematically because of the interest rate. Another reason is that if something happens to you, your student loan dies with you and your wife still has the mortgage. Presumably you have insurance plans to deal with that, but the more you have paid to the mortgage, the more you leave behind for your family. I’m not advocating non-payment of the student loan, but as long as it is the lower interest rate, I don’t see much reason to accelerate repayment of the student loan instead of the mortgage. If your MAGI is less than 150k, pay the mortgage first like Mike Piper said. After that, it makes still only makes sense to pay down your student loan first if you are in the 33% tax bracket or more. Otherwise, you still are not reducing the effective interest rate below the 6% of the student loan. Now I get why you want to move…Michigan!! Jokes, I got jokes this morning. Anyhow, 2nd Mort probably makes the most sense if you are looking at math only. Is there a government plan you can roll both the student loans into? Maybe get the sum at 5%? – The second mortgage, as you mentioned it the higher debt, focus on that and save more in the long run. – Keeping it for the tax deduction makes no sense as you are only getting back a small portion through the deduction. Student loans are tax deductible so really no matter where you focus you are reducing a tax deduction. – Reducing the student loan will not free up cash anytime soon so and will not help you sell/move any sooner. – Student loans are very flexible in payment terms. Most allow you to change the terms and can be based on a graduate scale, income or even be deferred in times of financial hardship. And not take out any more loans. My vote is knock out that 8.8% mortgage, regardless of what you expect the housing market to do.